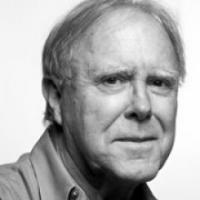 Robert Hass has published many books of poetry including Field Guide, Praise, Human Wishes, and Sun Under Wood, as well as a book of essays on poetry, Twentieth Century Pleasures. He was the guest editor of the 2001 edition of Best American Poetry. His essay collection Now & Then, which includes his Washington Post articles, was published in April 2007. As US Poet Laureate (1995-1997), his deep commitment to environmental issues led him to found River of Words (ROW), an organization that promotes environmental and arts education in affiliation with the Library of Congress Center for the Book. 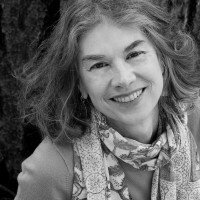 Brenda Hillman is the author of nine collections of poetry: White Dress, Fortress, Death Tractates, Bright Existence, Loose Sugar, Cascadia, Pieces of Air in the Epic, Practical Water, and Seasonal Works with Letters on Fire, which received the 2014 Griffin Poetry Prize and the Northern California Book Award for Poetry. Among the awards Hillman has received are the 2012 Academy of American Poets Fellowship, the 2005 William Carlos Williams Prize for poetry, and Fellowships from the National Endowment for the Arts and the Guggenheim Foundation. In 2016 she was named Academy of American Poets Chancellor.